In recent years the Alto de Arrate above the town of Eibar has been the final climb of the Tour of the Basque Country. It’s not famous beyond the Basque Country but it must be infamous inside the World Tour peloton, it’s a brute. You may have seen in on television but to ride it is a lesson in how TV coverage struggles to reveal the severity of some climbs. Route: the Matxaria Kalea starts on the north of Eibar and climbs for 3.5km before reaching the Gorosta Balea Aldea (GI3301), a bigger road where you turn right and keep going to the Arrate sanctuary atop the ridge. It’s 5km long in total and the first section to the turn averages 11% but features ramps at 16%. The Feel: one characteristic of the region is much of the valley floors are occupied by factories. Presumably the rivers once powered mills, one thing led to another and today it seems as if many valley floors are either blocks of apartments or factories. The good news for visiting cyclists is it only takes seconds to escape into peaceful woodland where all you can hear is the sound of your bottom bracket creaking. 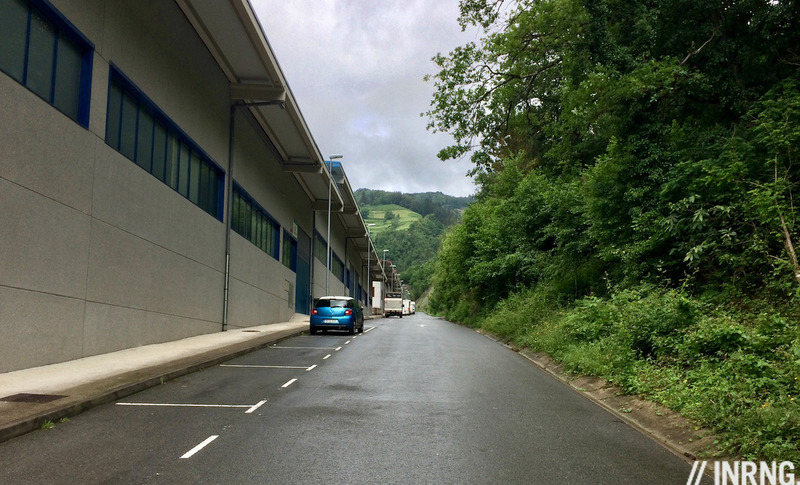 This one starts at the Urkotronic factory – they make vending machines – and you pass the building which itself slopes on the hill, as if Basques have to be climbers just to work in a factory. It’s a steep 10% at the beginning but be warned: this is the easy bit. Pass the factory and there are warning signs for vehicles longer than five metres as the tiny hairpins ahead are too tight, too steep. One to warn cyclists would be handy. The road is only wide enough for one car and it rears up, if you’re not in your lowest gear by now you’re probably on a mountain bike. 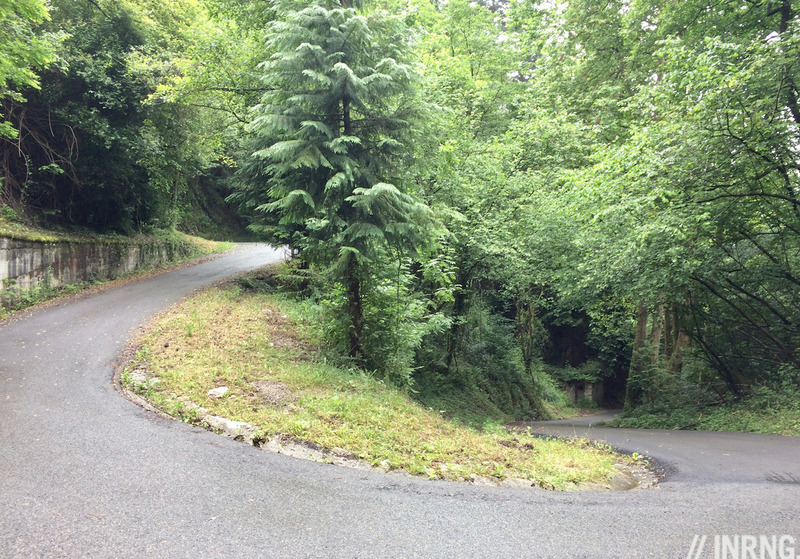 It’s narrow and the tarmac is rough but the first hairpin has fresh blacktop, several do. It’s shaded and damp in the pine and acacia forest. There’s moss on the trees and that mushroom smell even on a sunny day. One hairpin is banked by a concrete wall which is covered in graffiti: as if anyone is going to see the tags. By now the slope is at 16-17% in places but irregular: it can fall back to 10-11%, only you barely feel like changing up a gear or two before the next steep ramp comes. Later on you swap the dark woodland for pastures and the gradient eases but there are still some very tight hairpins, you have to go around the outside even to attack them. There’s a cattle grid to retain livestock: watch out for errant goats that stubbornly stand in the road. You pass a second farm and things are about to get harder still, the tarmac is replaced by concrete which is scored to help draining and full of cracks with grass growing in them. It keeps zigzagging and it’s steep, the cement track leads to a second cattle grid and a short descent for 30 metres before the road just pitches up once more, it’s relentless. By now you can see Eibar far down below, this is one of those spaceship climbs that launch your vertically in no time. Soon the road reaches the main road, you turn right. Now it’s wide enough for two cars, two buses even as you see the stop signs and think it might have been wiser to use one next time. The slope eases and with smooth tarmac you feel like your pedalling on silk compared to what came before. Then the sanctuary comes into sight. There’s not much of a view, but there’s a trough with a tap for more water on the side of the sanctuary. It’s fiendish going up but easier than descending, the steep slopes, the loose gravel, the damp patches would make for a fraught descent. There is a road descending beyond the Arrate chapel but take this at your peril, it’s got steep ramps that deliver you straight into awkward bends. Use the main road back down for the sensible route back down. The Verdict: it looks hard on TV, in reality it’s much tougher, one of the wildest climbs in any stage race and fierce even for a World Tour peloton. There are more changes in pitch and rhythm than an experimental Miles Davis album. Yes the Zoncolan is relentless but that’s just a long steady effort in a low gear. Arrate, reached via this road, is awkward, irrational, cruel thanks to the difficult road surface and constantly changing slope. It’s hard work but the reward isn’t so big, there’s no amazing view at the top, just relief in the moment and in time thoughts turn to trying it again to go up faster. Climb it as part of a visit to one of cycling’s biggest heartlands and it’ll leave an impression on you. The History: Eibar is the town in the valley and has a history of bike production being the birthplace of bike companies like Orbea and BH. The story goes that the region made rifles for centuries but after World War I the demand dried up and so those factories stopping making rifles and started making bicycle frame tubing. Arrate which is the sanctuary atop the hill has hosted many bike races including the Subida al Arrate race which ran from 1941 to 1986. 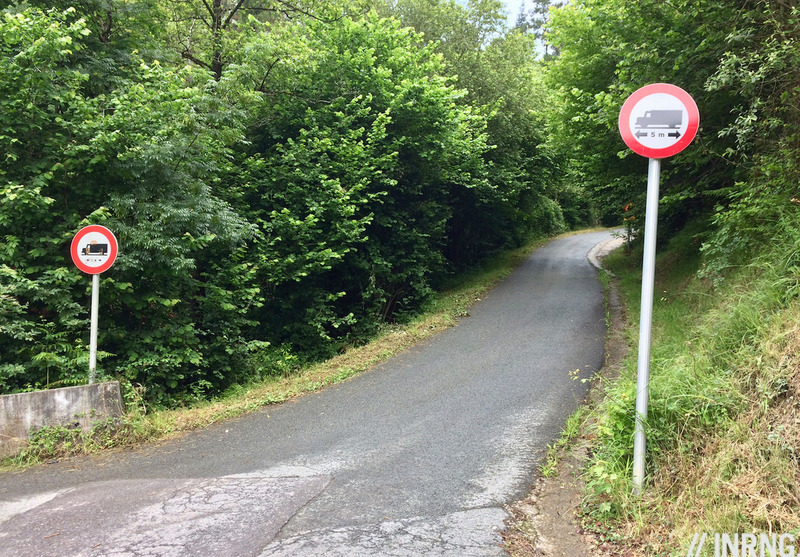 It’s had stage finishes of the Tour of the Basque Country and the Vuelta a España too but usually via the Alto de Usartza, the main road up from the town. Samuel Sanchez won here three times (at pixel time he’s still provisonally suspended). 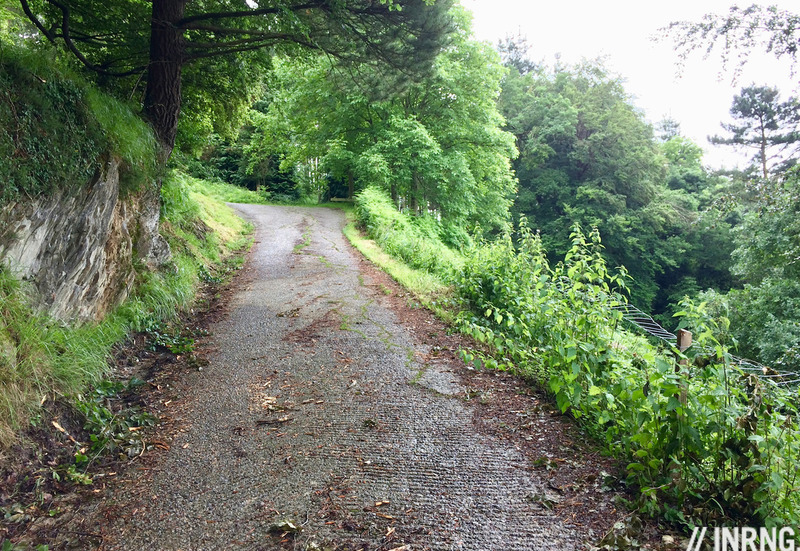 It seems in a bid to spice up the Tour of the Basque Country they’ve included this narrower route up from 2016, first as a climb along the way and more recently the final ascent of the race for 2017 and 2018. Ride more: take your pick from any number of roads in the triangle between Bilbao and San Sebastian on the coast and Vitoria-Gasteiz inland. There are many roads, just bring low gearing. It’s great terrain for climbing, you can see why this region has produced the likes of Mikel Landa and so many other climbers, there’s a selection bias created by the local roads. It’s not dissimilar from France’s Jura region with its pine forests and towering viaducts and dilapidated factories but one big difference is the number of cyclists, it’s packed with locals out on their bikes. Travel and Access: first pick your season. There’s a reason it’s so lush green and full of white water rivers: it’s very wet. April is the month of the pro race but from late May onwards the weather is more predictable. Bilbao airport has short haul connections in Europe and there are road and rail links to Eibar. Many of the towns are not so scenic given the industry and plenty were razed during the civil war 80 years ago but the villages are scenic. Dear Inner Ring: it was touching to read that you hear your bottom bracket creaking when riding. Me as well… I guess we both have cannondales. Or at the very least press fit bbs. It happens on lots of systems but particularly press fits. Recently a creak on the BB couldn’t be fixed but removing the rear gear hanger and wiping the dropout with some dry PTFE lube and putting the hanger back on resolved it. If your bike has a creak you’ll hear it on this slope, the same for your knees. I have today identified the gear hanger as the source of the creak on my MTB, but not before disassembling greasing and reassembling the BB and Crankset. ( I used grease instead of PTFE spray. ) I’d never come across that before and then twice in one day. Modern bikes seem to be a cacophony these days. Rode a borrowed one at L-B-L a few months ago I dubbed “the clock” as it ticked and tocked with every pedal stroke and being undergeared my cadence on the steep climbs (even with traversing!) was around 60. And yesterday at a vintage bike rally near Como, I could often hear a modern bike coming up on me long before it arrived, just by the creaks and squeaks, ticks and tocks. I spec’d the carbon bikes recently added to our rental fleet with threaded BB shells for just this reason – so far, so good. Great article, Inner! It is the most popular climb of the BC, and a very hard one! My Q is: did you also climbed it from the traditional one? Yes, it’s a nice road too and for locals a good workout with the steady slope. Not unlike Royal Enfield and BSA (Birmingham Small Arms) in Britain. And so many of the very early bicycle manufacturers were offshoots of sewing machine companies eg. Royal Enfield. But not, ironically, Singer. Two separate companies on separate continents. Though the English Singer, like many of his peers, came out of the Coventry Machinists Company which made … sewing machines. Singer went on to make motorcycles – as did BSA and Royal Enfield – and motor cars. Albert Champion, winner of Paris-Roubaix in 1899, founded the eponymous spark plug company and brand. His recent biography by Peter Nye, published in 2014, has much on these fertile links and crossovers. But there is more, much more, buried in specialist journals devoted to the history of the bicycle and even waiting to be rediscovered. History, engineering and intrigue… Anonymous, you’ve out done yourself! A great article as usual Inrng, your entertaining descriptions provide so much more interest than a clinical analysis of a climb. I think I will need to add this one to the list for my trip next year. Miles Davis reference aside, perhaps you should have packed a pair of flares and stacked cuban heels for the evening’s after-ride entertainment, Inner Ring? The goal tune of the local football club, SD Eibar (who play in La Liga), is a version of “I will Survive”, originally by Gloria Gaynor of course, but also covered by the Hermes House Band. Which is rather cool, I think, actually. The football club is owned by the fans too, which is even cooler. Maybe not experimental, but has Miles, Spain, rhythm changes…and Quincy Jones. Quite a few things in the region are owned by the locals, eg the Mondragon cooperative HQ is just up the road and Orbea, the bike company, is part of this. Looking at that second-to-last picture of puncture city, “I will survive” sounds like a fitting soundtrack to have in your mind as you’re struggling up there! It’s not just the punctures you need to worry about Ecky. I have never climbed it but I have descended it. My wife, who is a considerably more competent ascender than descender(the opposite of me) came down with a fistful of brakes in both hands and the vibration was so bad her arms came out in a rash and became so swollen she had to stop. But thank you Mr Ring for a lovely piece about one of my favourite parts of the world. Not least because a Tapas bar owner introduced me to the delights of razor clams cooked on the plancha with garlic and parsley. Ps. Mr Ring, could you send me a new pair of bibshorts, as your Miles Davis comment caused me to spill my tea this morning. Orbea, Fagor, Eroski… The Mondragón cooperative has had quite a role in pro cycling. Nice job! Photos reminded me of the Mortirolo.